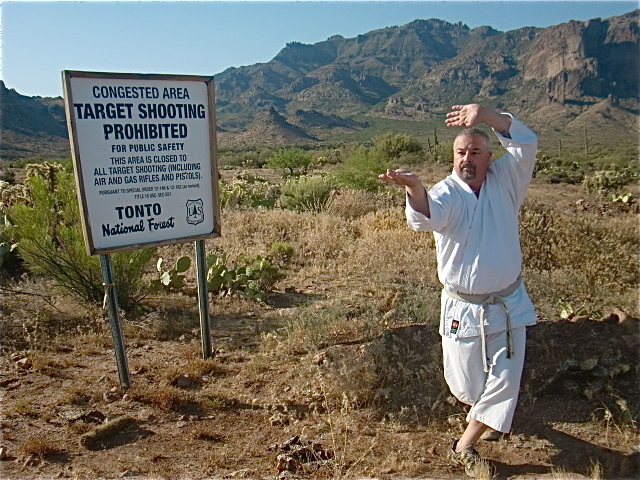 I thought I would share with you an important aspect of Shihan Thomas DeFelice’s Academy of Goshin-Do Karate-Do. 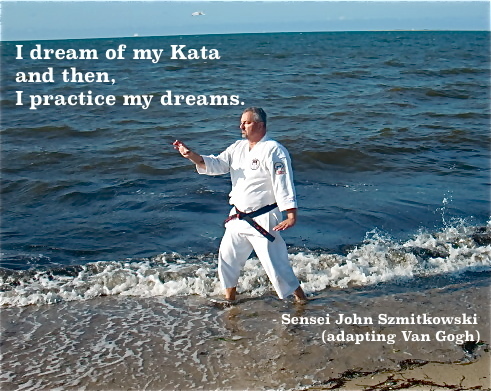 You may wish to incorporate this aspect of the Dojo into not only your Sanchin practice but also your daily routine. 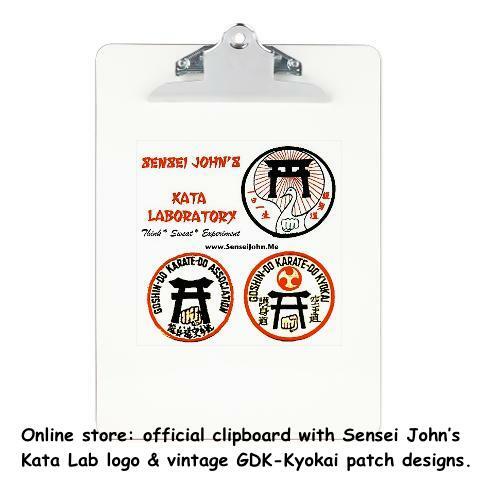 The aspect is the Dojo Kun. 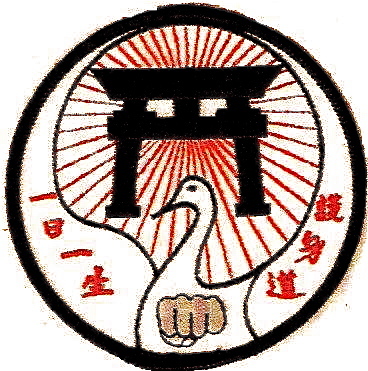 Traditional Karate Dojo have a Dojo “Kun.” The Dojo Kun is essentially a statement of purpose, a raison d’être for the Dojo and the student’s who train therein. The kun has a rich and storied history and was, based upon conservative estimates, a guidepost for perhaps ten thousand students. 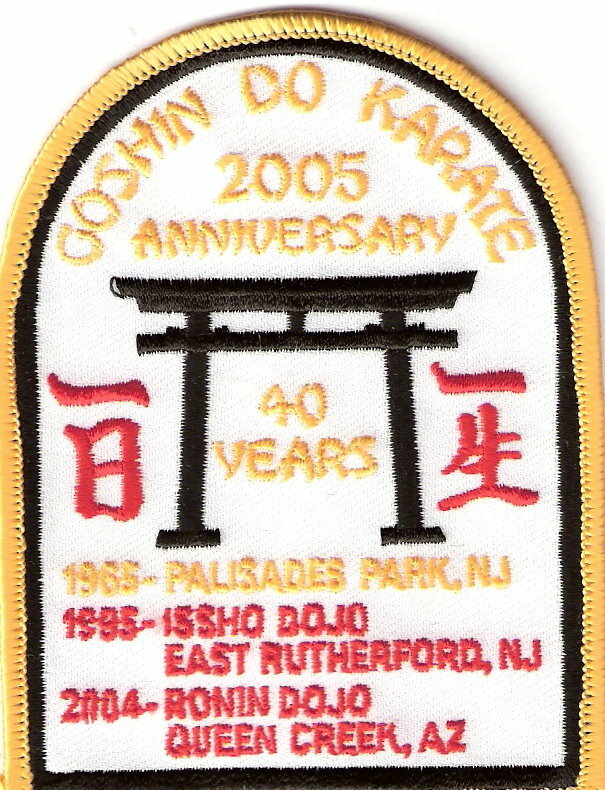 The first nine statements date back to the earliest days of Shihan DeFelice’s Dojo which was originally located at 125 Broad Avenue, Palisades Park, NJ. The kun was displayed in a place of honor in the Dojo. 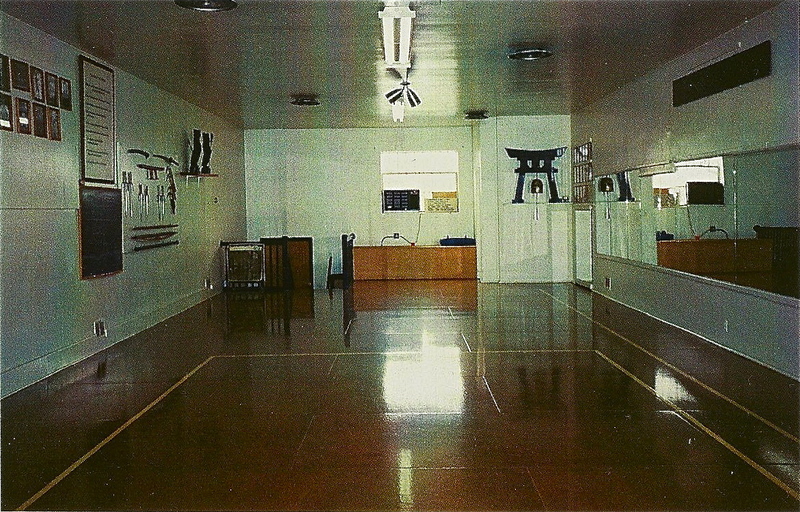 In the photograph below, the Dojo kun can be seen displayed on the left adjacent to the photographs of historical karate masters. 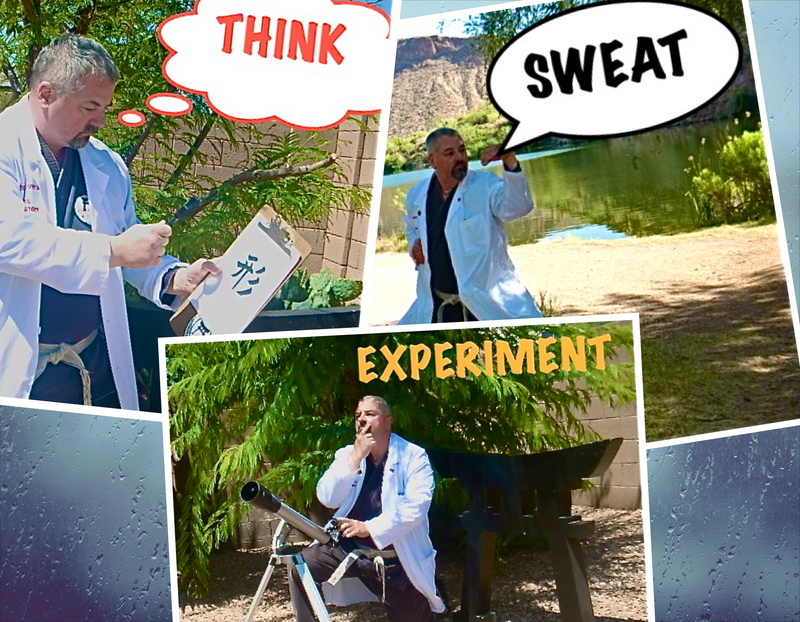 The kun provided a refreshing means of reflection and contemplation before and after class. 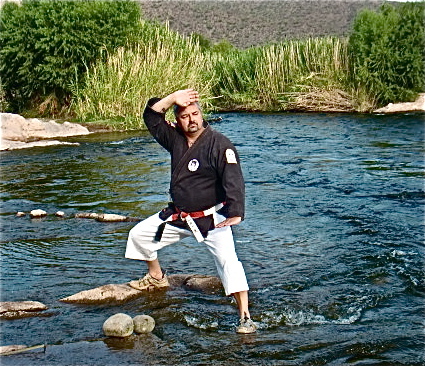 It also furnished a guideline for conducting yourself outside of the Dojo as you go about the drama of your life. 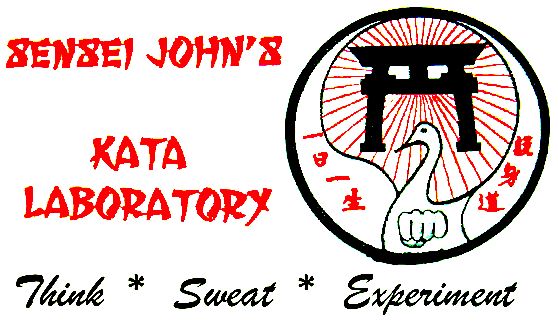 In 1997, I reproduced the kun for use in the Dojo which had relocated to 748 Paterson Avenue, East Rutherford, New Jersey. I also incorporated the kun into a student training manual for convenient reference. 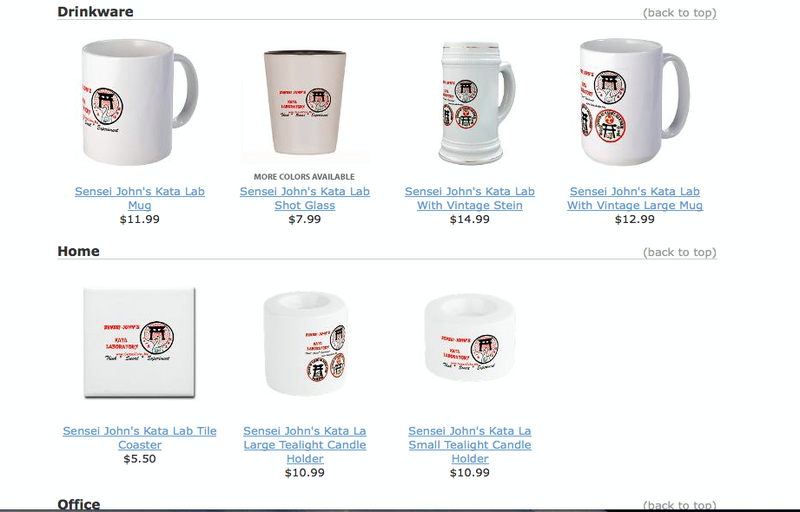 (See Endnote # 1). 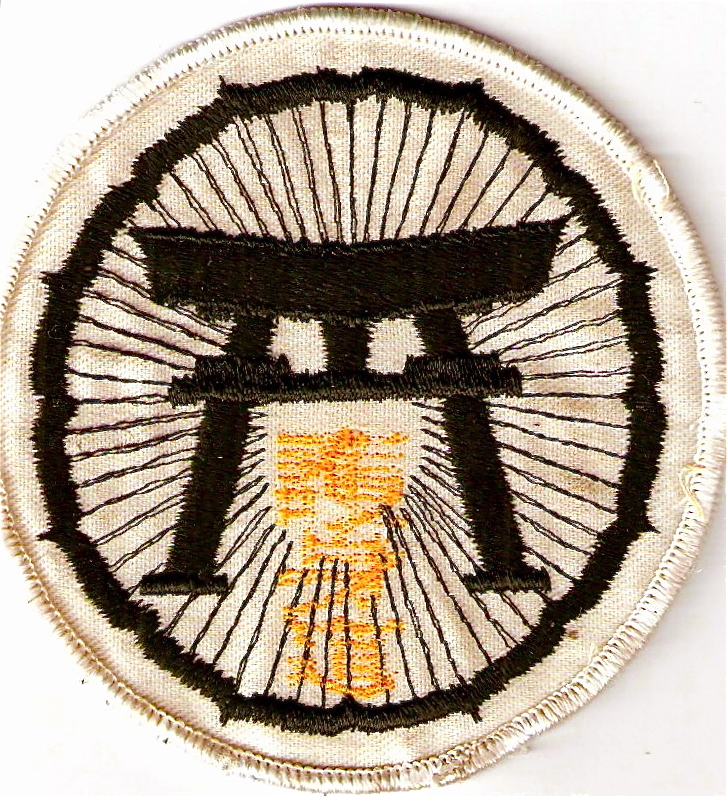 At that time, I added statement number ten, which is a proclamation that is personal to each student and a concluding statement; “Ichi-Nichi Issho” which translates as “One day – One lifetime.” This phrase was also used on the patch of the Issho Dojo. 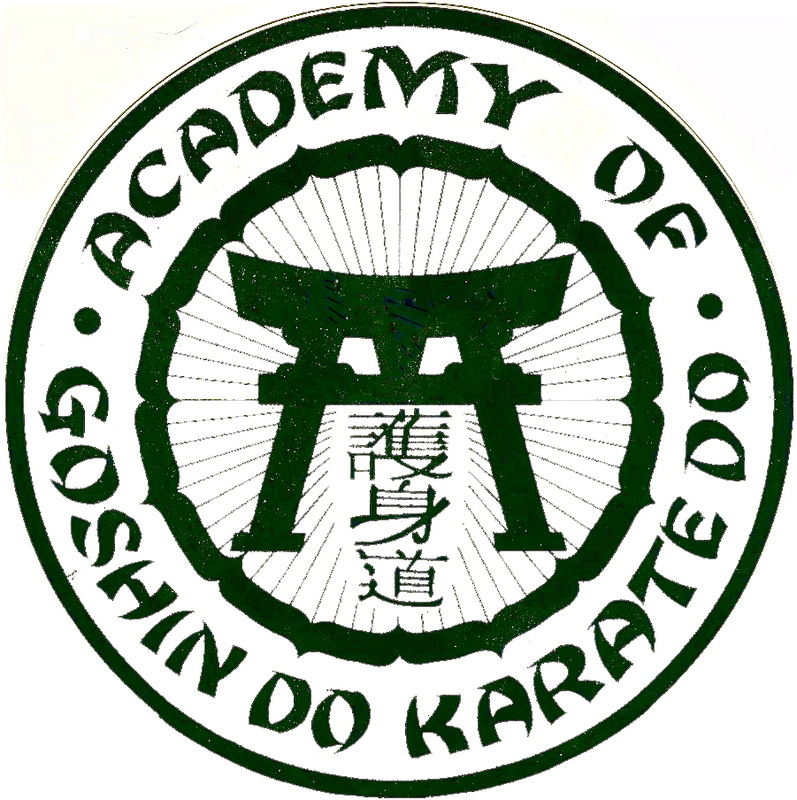 While the kun is unique to the Academy of Goshin-Do Karate-Do, it can be of benefit to all. I hope you enjoy the kun and further hope it provides you with a convenient means of reflection and contemplation. 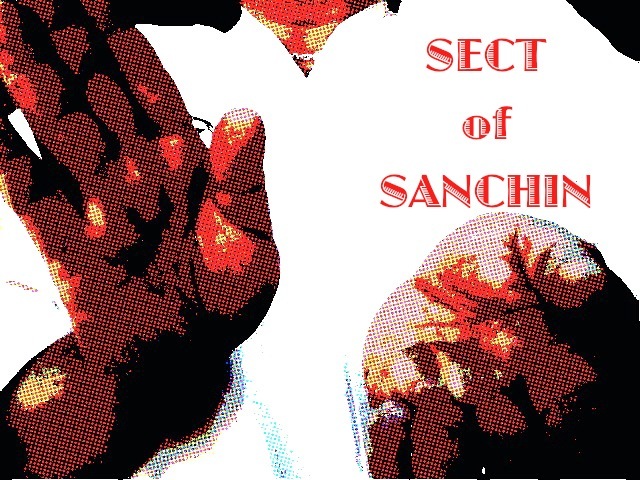 Additionally for all of those who purchased my Sanchin Kata DVD, you may wish to reflect upon the kun during your Sanchin practice. 2. WE WILL ALWAYS OBSERVE THE RULES OF COURTESY. 3. WE SHALL ALWAYS PRACTICE PATIENCE AND HUMILITY. 4. 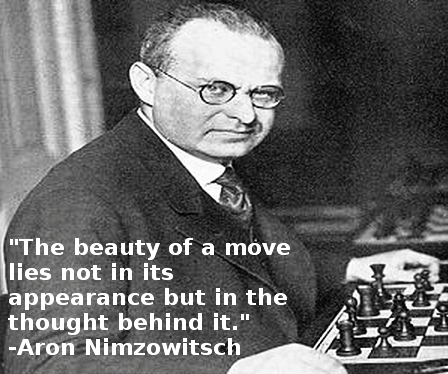 WE SHALL ALWAYS STRIVE FOR PERFECTION OF CHARACTER. 5. WE WILL ALWAYS DEFEND THE PATHS OF TRUTH. 6. WE WILL BE QUICK TO SEIZE THE OPPORTUNITY. 7. WE WILL GUARD AGAINST IMPETUOUS COURAGE. 8. WE WILL TRAIN OUR HEARTS AND BODIES FOR A FIRM AND UNSHAKEN SPIRIT. 9. WE WILL ALWAYS BE TRUE TO OURSELVES. 1. 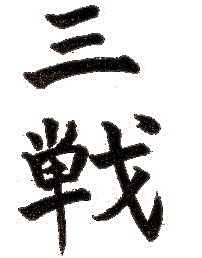 Szmitkowski, John, Goshin-Do Kata-jitsu: Volume One: The Basic Kata (Issho Publications, 1997).